Moth & Star is a total design and development shop, taking projects in a variety of disciplines from start to successful end. Capabilities include CMS (Wordpress) and e-commerce site builds for individuals and business, mobile app design and development, search engine optimization and marketing strategy, content writing and editing, graphic and print design, and logo design. Your budget is not a deciding factor. If you have an idea, jot off a quick email to joe@mothandstar.com and we'll make things happen. Austin & Locke was a young London-based strategic marketing company looking for a brand identity that spoke of their "Man on the Street" ideology. Something everyday, something light, fun and creative. Closely working with the client, I created a logo resembling an A-Board, the sign outside every UK pub that announces the fun to be had inside. Pubs are the beating heart of British society, where business is transacted and new ideas are sprung. The logo is meant to inspire the anticipation that comes upon seeing that A-Board and entering the front door. 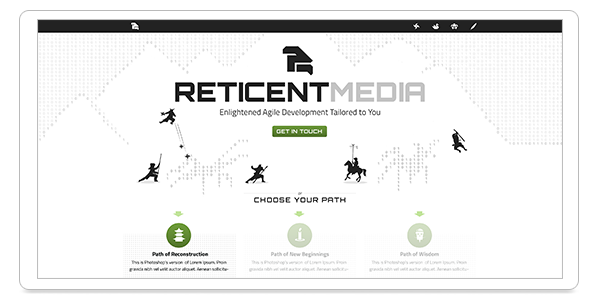 Reticent is a young group of talented developers spread across the United States. At their core is Agile methodology, which has always been associated with Zen and Eastern philosophy. So, of course, ninjas. The site was designed to 'unfold' depending on inquiring customer needs, reflecting the custom and client-driven strategies of Reticent. All content was written to be more reader-friendly (less techno babble). 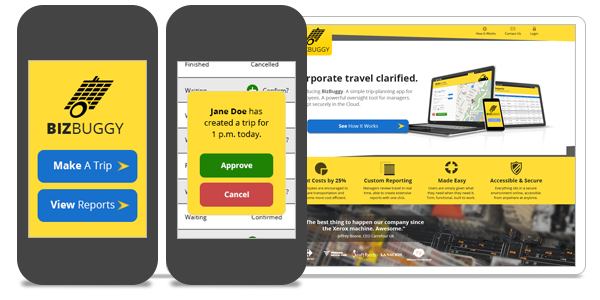 BizBuggy is a trip-planning and oversight tool for corporations. The app integrates with existing online cab portals and offers secure cloud-based information management and accessibility from any device. Living six months in Goa, India, working alongside the client, I designed a full-fledged reservation and management system for hotels. 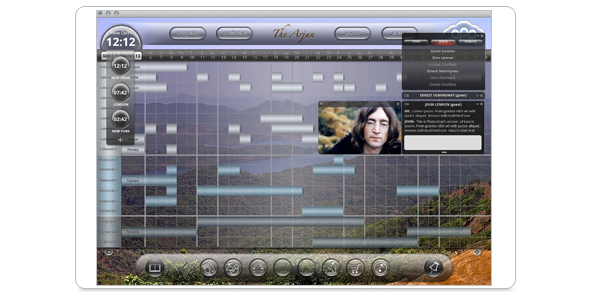 The system integrates a complete onboarding process, customization tools allowing custom schedules and rates, video communication between staff, a booking and reservation display, connections with online travel agencies, and personal guest logins and guestbooks. 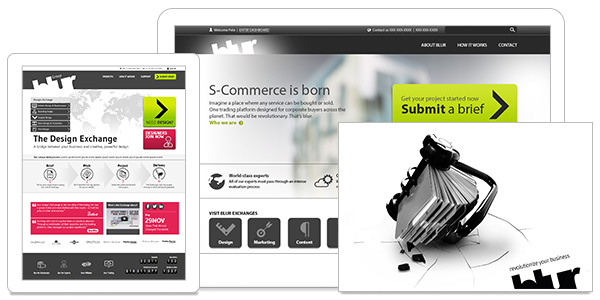 A separate website was also created for marketing purposes. 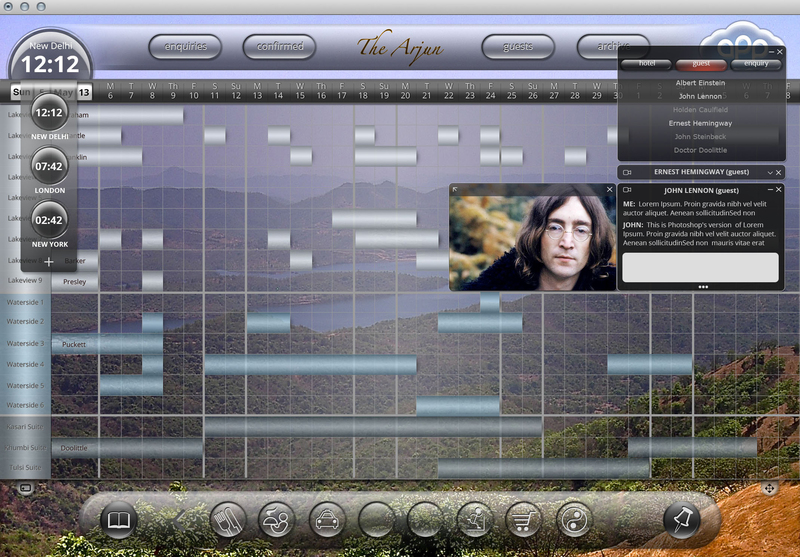 The app is still in production. 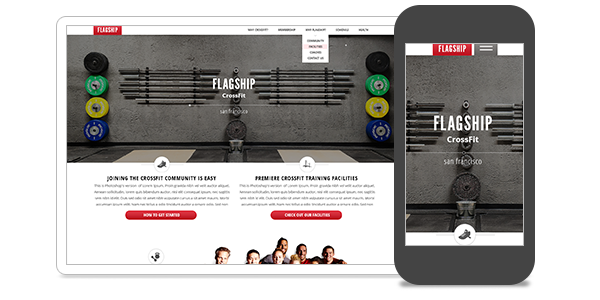 Flagship is a crossfit gym with multiple facilities in the San Francisco area. Numerous photos were provided and we chose those that best represented the high-grade professionalism and brooding potential Flagship hoped to provide its members. The Wordpress site incorporated an updateable real-time schedule and login database for membership. 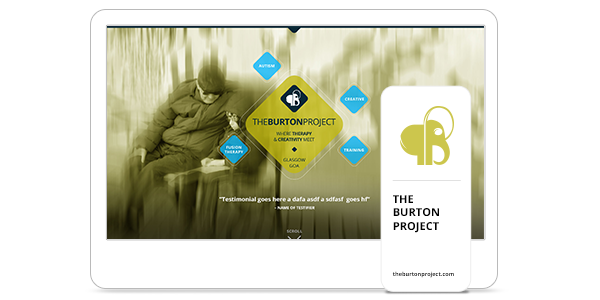 The Burton Project is an organization founded by a lovely Scottish couple bringing austism awareness, counseling and art therapy to India. A Wordpress site was designed and developed which allowed them to post events and informational articles supporting their practice. For the logo, I chose an elephant for its iconic status in India, and placed primary focus on the forehead and eye to reflect the mental awareness associated with the clients' mission. The letters B and P (reversed) can also be seen. 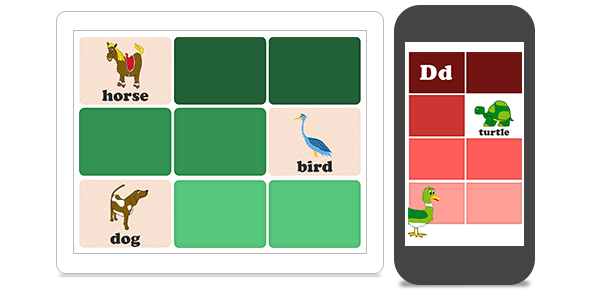 Peek & Say is a children's flip-card game built for iOS and Android phones and tablets. I illustrated 55 animals and objects around a central farm theme and created wireframes, color and typography guides, and animation schematics for every device. The project is still in development. As Head of Design at blur Group, a London-based startup tech company with clients including eBay, FT and HSBC, I focused on user experience and brand consistency to redesign the company's entire online product. The new design helped increase stock prices by 200% and generated $15 million in investments. I also shaped print and web marketing campaigns, designed company apparel and interior studio spaces. This was a project actually completed while employed at the Times Herald-Record, the largest newspaper in New York's Hudson Valley. The stadiums appeared in special editions of the paper highlighting a local high school sports complex and two new professional baseball stadiums. 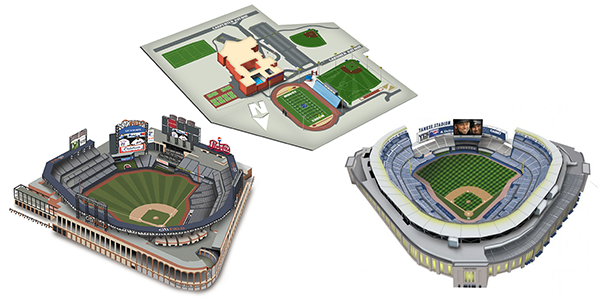 Each stadium took roughly 60 hours to complete, every pixel drawn entirely in Photoshop (using only a mouse, no less). Be sure to click the link and zoom to see detail. Being Moth & Star's first client, UC the Source will always be special. Founded in New Jersey by Una Cote, the company manages events for high-end corporate firms in New York City and abroad. UC was Una's entire life and I felt priviliged to have the opportunity to move her forward. The site was designed with soft clean colors and hand-drawn original illustrations to reflect Una's personal touch and warmth, and the content was written accordingly. 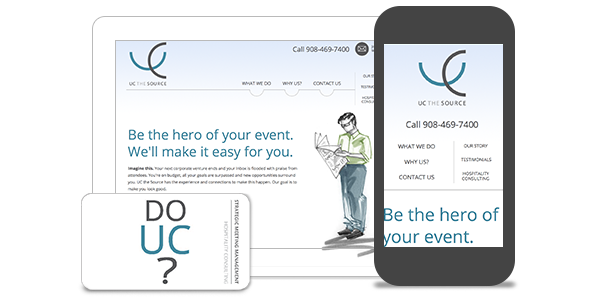 Branding material was created, including business cards, and a new logo, which entwines the letters UC to denote the global connectiveness that her business provides. The website holds up remarkably well for its age. 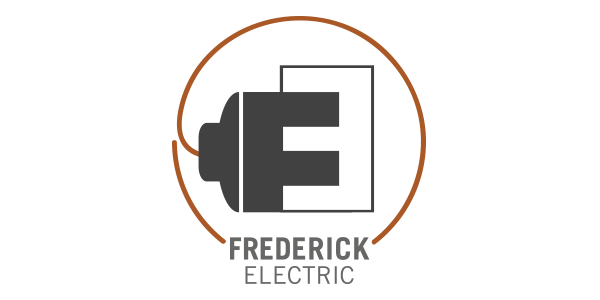 Moth & Star is a family affair, so when my father needed a logo for his new electrician business, of course help was available. 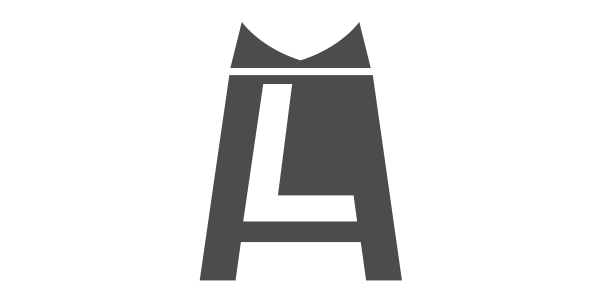 Only a bit of ideation and—presto!—the letters F and E became an electrical plug and socket. Papa Frederick had the new brand slapped on the side of his truck within a week.